To use the glossary you can either scroll down until you find the word you are looking for, or simply use the "ctrl + F" shortcut that most modern browsers feature. Allogenic stem cells - Term used in a stem cell transplantation where the transplanted stem cells are taken from a donor and not from the patient himself. Opposite of autologous stem cells. Amniotic stem cells - Stem cells found in the amniotic fluid. They are multipotent stem cells with the capacity to develop into cells of adipogenic, osteogenic, myogenic, endothelial, hepatic and neuronal lines. Autologous stem cells - The term is used when the receiver of the stem cells acts as the donor as well. In other words, the termed is used when stem cells are taken from one's own body, for example from his bone marrow. Blastocyst - The term refers to an embryo that has developed for five to six days after fertilisation. Human blastocysts are comprised of 70 to 150 cells. Bone Marrow - Bone marrow is the flexible tissue found in the interior of bones. In humans, bone marrow produces around 500 billions of red blood cells on a daily basis. Cancer stem cells - These cells (abbreviated as CSCs) are cancer cells (found in tumors or hematological cancers) that possess certain characteristics that normal stem cells have. More specifically, to self renew themselves and the ability to develop into all types of cells found in the cancer they are originating from. 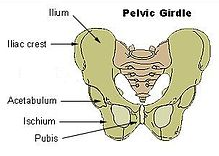 Femur - The thigh bone.The bone marrow in the femur contains a huge number of multipotent stem cells. This is why it is one of the possible sites to use for extracting stem cells, usually for a bone marrow transplant. Fetal stem cells - Refers to stem cells that are extracted from a fetus's organs. Induced pluripotent stem cells - These stem cells are artificially created by reprogramming normal adult cells, in order to give them pluripotent capabilities. Multipotent stem cells -These are stem cells that can differentiate into many types of cells all of which belonging to the same family! For example hematopoietic stem cells can develop into several types of blood cells (red blood cells and platelets), but can't develop into neural cells. Morula - The term refers an embryo that is at a very early stage of embryonic development, consisting of cells (called blastomeres) in a solid ball contained within the zona pellucida. Pheresis - A process for extracting stem cells from the blood. During the process the donator's blood is passed through a machine that extracts and isolates the stem cells contained within before pumping the blood back to the vascular system. Pluripotent stem cells - These stem cells are the immediate descendants of totipotent stem cells and can differentiate into all types of tissue except the placenta. Pluripotent are what we call embryonic stem cell category. Progenitor cells - A progenitor cell is the intermediate cell between a stem cell and the final differentiated target cell. They are characterised as oligopotent. The main reason they are not classified as stem cells, is that their renewal capacity is very small. Unlike stem cells ,which can divide indefinitely, they can only do so for a limited number of times. 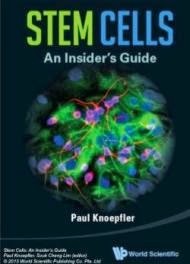 Somatic stem cells - An alternative term that is sometimes used instead of "adult stem cells"
Totipotent stem cells -These stem cells have the greatest possible capacity among all stem cells, and can theoretically construct a complete organism from scatch. Totipotent stem cells have the capacity to develop into virtually all different kinds of specialised cells and even form a new organism from scratch. Unipotent stem cells - These are stem cells with the capacity to produce only one specific type of cell. Their existence is still unclear, as scientists have yet to discover such a stem cell.